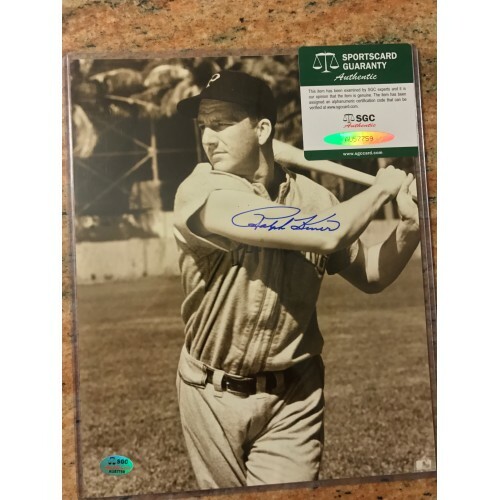 SPORTS MEMORABILIA There are 138 products. 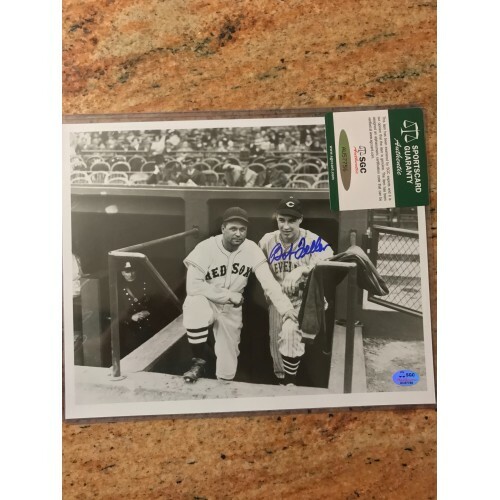 Carl Hubbell Autographed Photograph. Comes with Certificate of Authenticity. 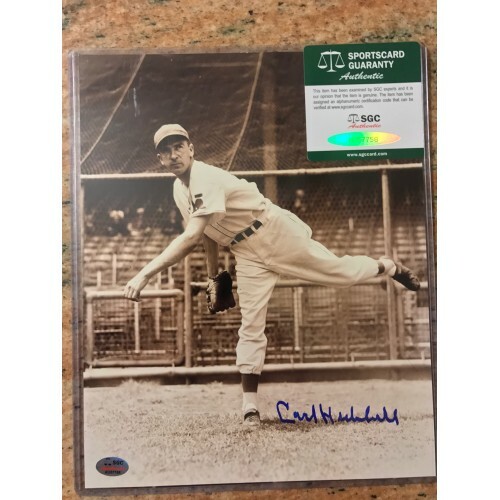 Carl Hubbell Autographed Photograph. Comes with Certificate of Authenticity. Ralph Kiner Autographed Photograph. Comes with Certificate of Authenticity. Ralph Kiner Autographed Photograph. Comes with Certificate of Authenticity. 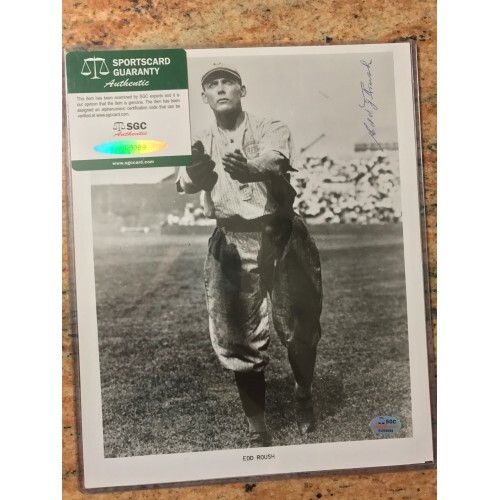 Bill Dickey Autographed Photograph. Comes with Certificate of Authenticity. 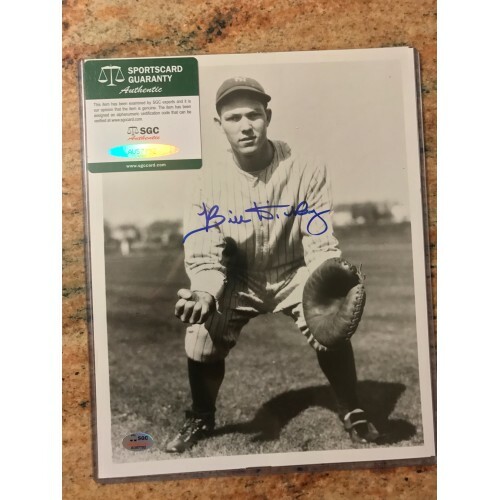 Bill Dickey Autographed Photograph. Comes with Certificate of Authenticity. Bob Feller Autographed Photograph. Comes with Certificate of Authenticity. Bob Feller Autographed Photograph. Comes with Certificate of Authenticity. Al Barlick Autographed Photograph. Comes with Certificate of Authenticity. Al Barlick Autographed Photograph. Comes with Certificate of Authenticity. Frankie Frisch Autographed Photograph. Comes with Certificate of Authenticity. Frankie Frisch Autographed Photograph. Comes with Certificate of Authenticity. 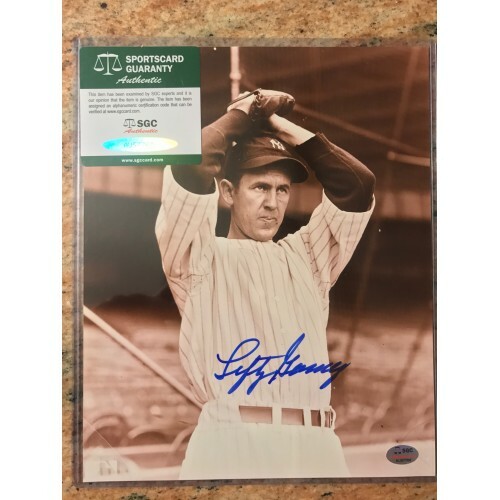 Lefty Gomez Autographed Photograph. Comes with Certificate of Authenticity. 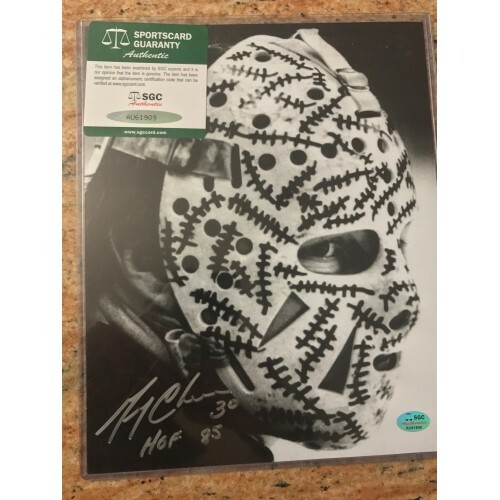 Lefty Gomez Autographed Photograph. Comes with Certificate of Authenticity. Reggie Jackson Autographed Photograph. Comes with Certificate of Authenticity. 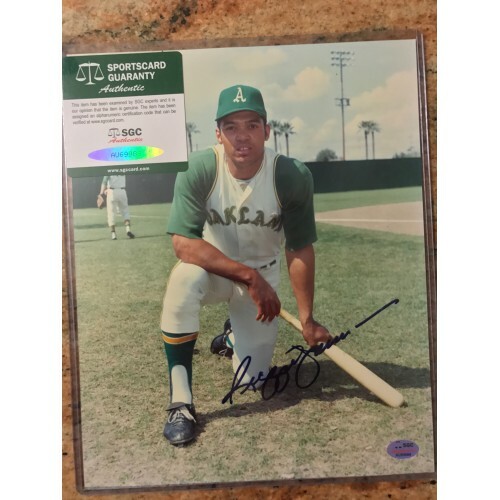 Reggie Jackson Autographed Photograph. Comes with Certificate of Authenticity. 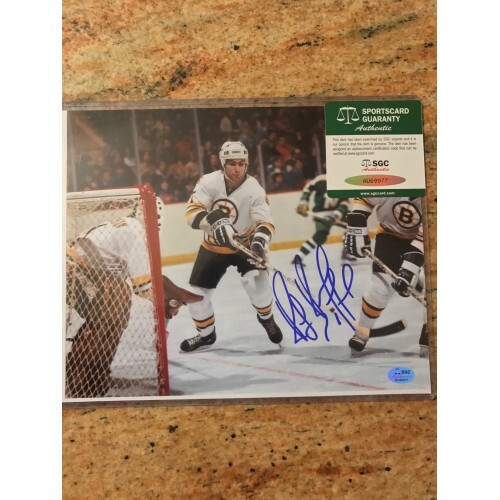 Ray Bourque Autographed Photograph. Comes with Certificate of Authenticity. Ray Bourque Autographed Photograph. Comes with Certificate of Authenticity. Gary Cheevers Autographed Photograph. Comes with Certificate of Authenticity. Gary Cheevers Autographed Photograph. Comes with Certificate of Authenticity. 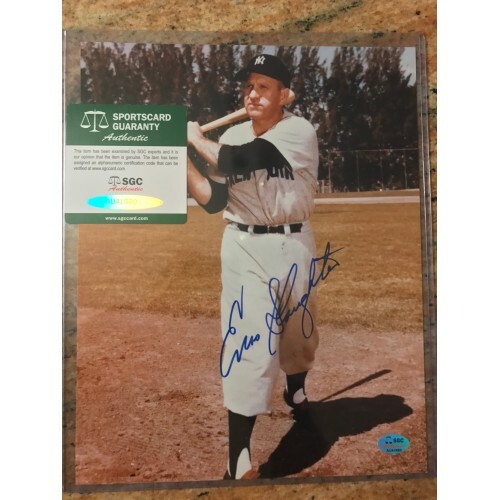 Enos Slaughter Autographed Photograph. Comes with Certificate of Authenticity. 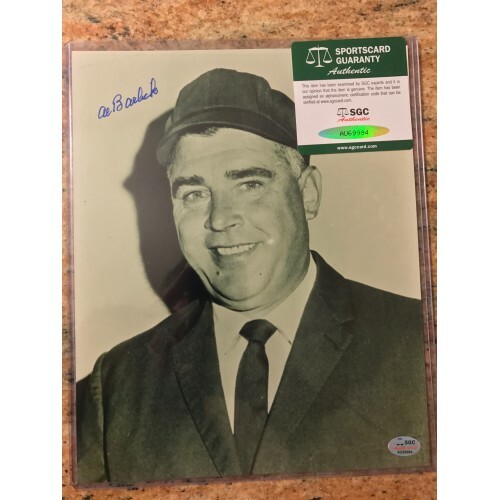 Enos Slaughter Autographed Photograph. Comes with Certificate of Authenticity. Phil Niekro Autographed Photograph. Comes with Certificate of Authenticity. 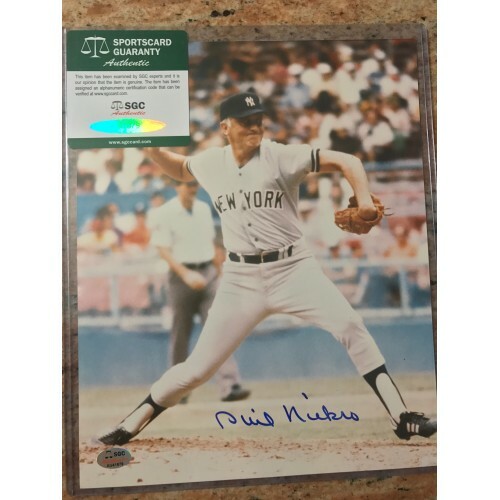 Phil Niekro Autographed Photograph. Comes with Certificate of Authenticity.